I love food but am by no means a foodie, a term that’s really hit the mainstream over the past few years. I also don’t have cable so I’m not entirely up-to-speed on all the celebrity cooking shows but am aware of a number of their names and how food has really become a craze over the last few years. From regional versions of Iron Chef to Anthony Bourdain taking on world cuisine, Jamie Oliver promoting simple dishes, and street food books going to print, global food is hot. The trend has become quite evident while designing custom trips in SE Asia at my dayjob with Smiling Albino as more and more travelers are sussing-out famous restaurants of interest prior to travel or asking for a specific focus on dining during their journey. This is a very cool trend as food in much of the world, especially in SE Asia, really is much more than a necessity, but a passion and a deeply embedded part of a nation’s social fabric. I’ve had the opportunity to speak with a couple chefs and restaurateurs over the last year and found their passion for cuisine and sharing it with travelers exciting. 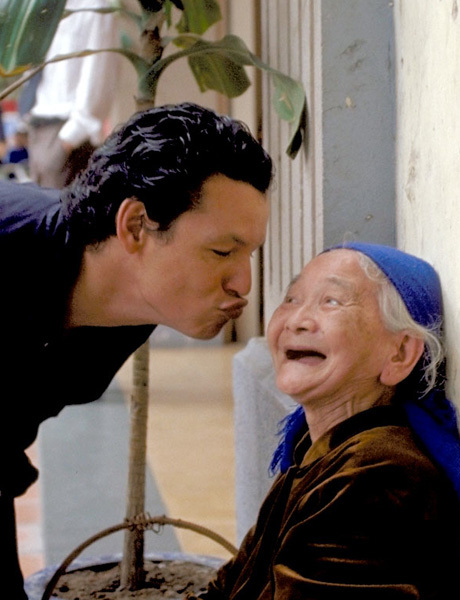 In 2011 I interviewed celebrity chef Bobby Chinn about his love of Vietnamese cuisine and becoming a recognized expert, despite being a foreigner, which after an initial bump doesn’t seem to have slowed him down one bit. With multiple shows on Discovery Channel and a second location of Restaurant Bobby Chinn in Ho Chi Minh City, he’s taking Vietnamese cuisine to new heights. 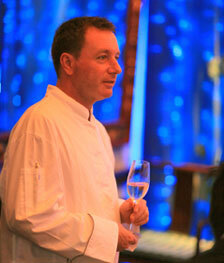 Another innovative foreign chef making waves in the Vietnamese food scene is Canadian Don Berger. His bistro in Hanoi specializes in a wide swath of dishes from pizza, to traditional Pho noodle soup to Canadian lobster. 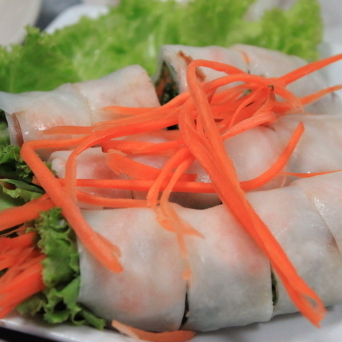 The key is it’s all fresh, lovingly prepared and incorporates elements of local methods and flavors. Don’s carved-out a real following for those in the city and in-the-know. His interview with me sheds light not only on his love for food, but his adopted home and the country’s cuisine. In Bangkok restaurateur Steven Bianchin, founder of FACE, has set the bar very high for fine dining. They offer Thai, Indian and Japanese cuisines in various spaces in what really is one of the city’s most beautiful traditional dining settings. From beginnings in Jakarta, to outlets in Beijing and Shanghai, Steven and his team are not only wowing locals but visitors who make a meal at FACE a major stop of their trip. During our interview he shared some neat insights about the challenges of starting restaurants but also how he came to love the cuisines he offers. 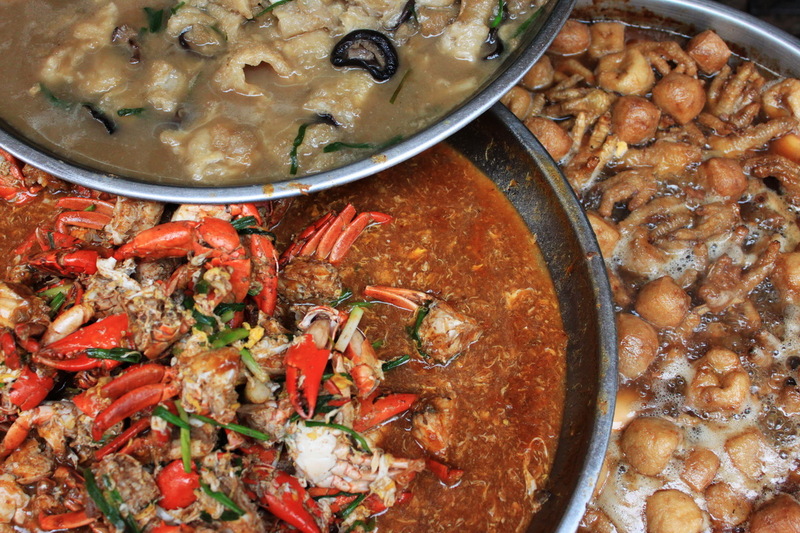 While fine dining is one of life’s great pleasures, most true lovers of food, chefs and restaurateurs all agree that street food in SE Asia is really where it’s at. Designed for residents on-the-go, usually served from small tables along the side of the road, it’s cheap, fresh and the flavors really burst. My business partner Daniel Fraser and I blogged about the topic and recorded a podcast to share what we really feel is the must-experience cuisine while traveling the region. This traditional cuisine has also been appreciated by David Thompson, the founder of famed namh Thai restaurants in London and Bangkok with his gorgeous, and huge, book Thai Street Food taking this dining form to new heights. Whether it’s a quick plate of noodles on the side of the road or a bring-your-platinum-card meal at a top restaurant, food is without a doubt one of the highlights of a trip to SE Asia. Bring an appetite! Your writing is really taking off Scott! I would like to go on a Smiling Albino trip to Vietnam one day. There are many websites on the web which can help you with your dilemma of how to make a mobile website. facilities. ) Determining The Most Effective Screen Resolution: There are numerous mobile devices working on different operating systems and having different specifications.